YAY! I've been waiting for this day for you for so long! So happy to read it right there on the digital. Best pee ever! So happy for you!!! 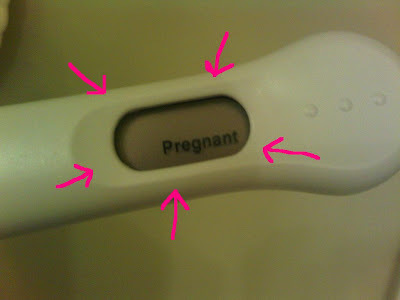 With my first child (we had some issues getting pregnant), I took a cheapo test at work, and I saw a faint line, but wasn't sure....I made a nurse at my work look at it, and she told me even if it was faint it was something!!! I remember I was so impatient, and got a digital test that day at Target, and I didn't even wait, and took it in the bathroom after I bought it at freaking target lol, and once I got the digital confirmation, I thought it was completely confirmed! That baby is now five years old! Congrats girl!!! Ahhhhh!!! That's so exciting! YAY!